Turquoise means open communication and clarity of thought. 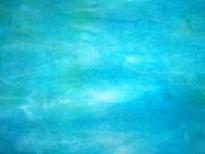 The color turquoise helps to open the lines of communication between the heart and the spoken word. 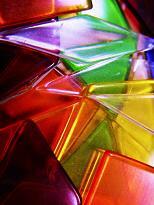 It presents as a friendly and happy color enjoying life. In color psychology, turquoise controls and heals the emotions creating emotional balance and stability. In the process it can appear to be on an emotional roller coaster, up and down, until it balances itself. This is a color that recharges our spirits during times of mental stress and tiredness, alleviating feelings of loneliness. You only have to focus on the color turquoise, whether on a wall or clothing and you feel instant calm and gentle invigoration, ready to face the world again! It is a great color to have around you, particularly in an emergency, as it helps with clear thinking and decision-making. It assists in the development of organizational and management skills. It influences rather than preaching and demanding. This is a good color to aid concentration and clarity of thought for public speakers as it calms the nervous system, gives control over speech and expression, and builds confidence. Print your speech notes on turquoise and every time you glance down you will feel the effects of the color. It heightens levels of creativity and sensitivity; it is good at multi-tasking, becoming bored if forced to focus on one thing only. Sometimes thinking can become scattered if surrounded by too much of this balancing color. Turquoise encourages inner healing through its ability to enhance empathy and caring. It heightens our intuitive ability and opens the door to spiritual growth. It is the color of the evolved soul. 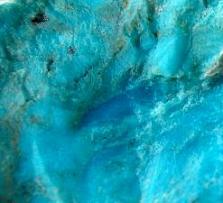 The color turquoise can also be self-centered, tuning in to its own needs above all others. At the same time, it can help us to build our self-esteem and to love ourselves, which in turn supports our ability to love others unconditionally. At its most extreme it can be boastful and narcissistic. Although it is self-sufficient, it fears being alone and can become aloof and unapproachable when this occurs, making the situation worse. 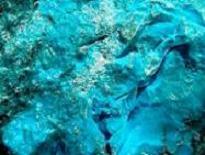 Turquoise has strong powers of observation and perception and can be quite discriminating. It has the ability to identify the way forward, the way to success, balancing the pros and cons, the right and wrong, of any situation. It is a good color to use when you are stuck in a rut and don't know which way to move. This is a color that can sometimes be impractical and idealistic and remote from emotional reactions, appearing excessively cool, calm and collected. Too much of this color in your life may give you an overactive mind and create emotional imbalance, making you either over-emotional or non-emotional. Too little turquoise in your life may cause you to withhold your emotions, resulting in secrecy and confusion about your direction in life. From a negative perspective, the meaning of the color turquoise relates to being either over-emotional or non-emotional, lacking communication skills, being unreliable and deceptive. If your favorite color is turquoise, it will reflect in your personality! Personality color turquoise will give you more information on this. If you are thinking of using red in a business application, read about the meanings of colors in business. Communication: This color represents open communication from and between the heart and the spoken word. It relates to the electronic age and the world of computers, and communication on a large scale. Emotional Control: Being the mid color between the extremes of red and violet, turquoise is the color of balance, for the emotions, thoughts and speech. Self-Sufficiency: It has the ability to tune into its own needs and find the way to success. Clarity of Thought: It enhances the ability to focus and concentrate, assisting with clear thinking and decision-making, and the development of good organizational skills. Calming: It is calming yet invigorating, restoring depleted energies. Non-emotional: A negative effect of turquoise is that it can cause people to be too aloof and to hide their emotional reactions. Aqua: Closer to green than blue, aqua is refreshing and uplifting. It is creative and light-hearted, yet strong and individual. Aquamarine: Enhancing creativity and inspiration, the color aquamarine calms and balances the mind and the emotions. Teal: A more sophisticated version of turquoise, teal signifies trustworthiness and reliability. It promotes spiritual advancement and commitment. To go to the color meaning of: red, orange, yellow, green, blue, indigo, purple, pink magenta, brown, gray, black, white, silver, gold.